Our political leaders are suffering from the disenchantment of the electorate. 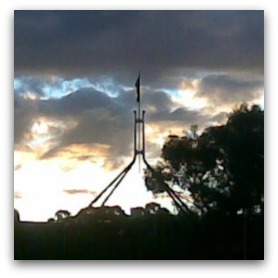 Canberra and its political hackery has less appeal now than it's had for a long time. It might be worth listening to Bob Hawke, who recently unwittingly echoed the seniment of French philosopher Simone Weil's essay 'On the Abolition of All Political Parties'. One character sings a risqué satire called 'The Ballad of Joking Jesus'. Another wanders into a church and misinterprets the liturgy to comic effect. The puritanical Catholic hierarchy were offended, but Joyce's seemingly anti-religious novels would not exist in their final form were it not for his Jesuit education.